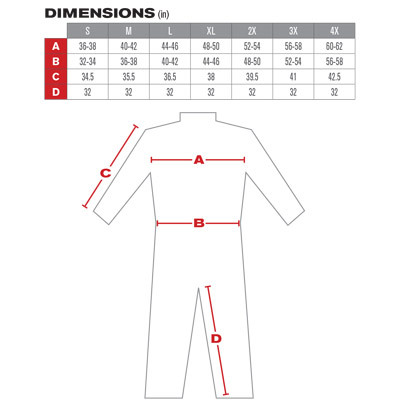 With a total garment weight of 7 ounces, this Dual Certified ARC/FR Coverall is classified HRC 2 and ARC rated at 8.5 cal/cm2 ATPV. This durable, yet lightweight FR coverall meets stringent safety standards NFPA 2112-2012 and OSHA CFR1910.269. Perfect for oil & gas workers and other personnel risking electrical and fire hazards. Total garment weight of 7 oz. Care Instructions: Machine wash warm, 165å¼ F max. Tumble dry low. DO NOT bleach. DO NOT use fabric softener. DO NOT iron.